One of the biggest mistakes many couples make during the divorce process is ignoring the financial ramifications of the situation. Even if you are working with a lawyer to come to an agreement for dividing up financial assets and separating your accounts, you’ll need a plan to secure your financial future and take control of your personal finances as soon as possible. Avoiding some common money mistakes during the divorce process can put you on a healthy financial track. 1. Overlooking the benefits of mediation. Even if you and your spouse have decided to work together to reach a settlement, mediation can help to resolve some of the more difficult issues that arise. Mediation can also save you money in legal fees and stress from negotiations. 2. Working with an inaccurate budget. Many people who aren’t used to managing the household budget end up putting together a proposed budget that is inaccurate. You need to put together a budget based on your individual income and the new, separate expenses for which you will be responsible after the separation. So take the time to create an accurate budget so you and your lawyer can propose a fair settlement. An accurate budget will also help you think about your spending during your post-divorce life. You shouldn’t realistically expect to consider spending at the same level your did when you were married. 3. Failing to evaluate a settlement proposal thoroughly. You need to be very precise when forecasting your future expenses and changes in lifestyle after the divorce. Take the time to review the settlement in detail so that you are accounting for all living expenses, investments, medical expenses, child-related expenses, and other costs. 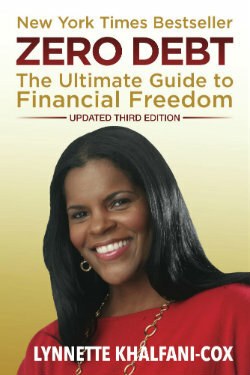 Failing to do so can set you up for financial stress and money problems in the near future. 4. Over-relying on your divorce attorney. 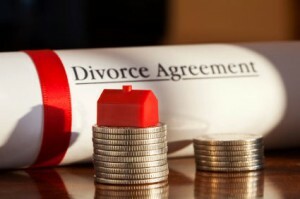 Divorce attorneys typically charge hundreds of dollars per hour and while they can provide solid advice about divorce-related proceedings, they may not be your best source of information for financial decision-making and handling the emotional aspects of the divorce. Consider working with other professionals during the divorce process so that you are getting the information and support you need, and aren’t spending more than you need to throughout the process. 5. Overlooking the impact of inflation. Another common financial mistake couples make during the divorce process is disregarding the effects of inflation. When you’re forecasting expenses for the next 5, 10, and 15 or more years, you need to adjust those numbers for inflation. Take the inflation rate into account to prepare accurate figures. 6. Accepting a settlement offer that sounds too good to be true. Both parties in a divorce settlement need to have enough money to live on and agree on a fair amount. Consider working with a family law attorney to make sure the settlement is fair and reasonable, and that there won’t be any issues with payment. Don’t accept a settlement offer without consulting with a lawyer. In the event that a former spouse suffers any type of disability or dies prematurely, a life and disability insurance plan can cover divorce settlement payments. Make sure insurance coverage is addressed during negotiations and included in the settlement.